This Dahi Poha/Thayir Aval/Curd beaten rice/Mosaru Avalakki is easy to make breakfast recipe and the speciality about this recipe is that a healthier red variety is being used. Alternatively, you can use white Poha to make the same recipe. When I run out of dli/dosa batter in busy morning schedule, then the quickest and healthiest break fast recipe that saves my time is Curd poha. If you are used to white poha, it might need some "getting used to" time as the red ones are little coarser in texture than the white ones. But, it is definitely not hard to switch to healthier poha as it gives more nutrients. Beaten rice/Poha is already healthy, but opting red one is good because red rice doesn't undergo much of processing so its nutrients are preserved. 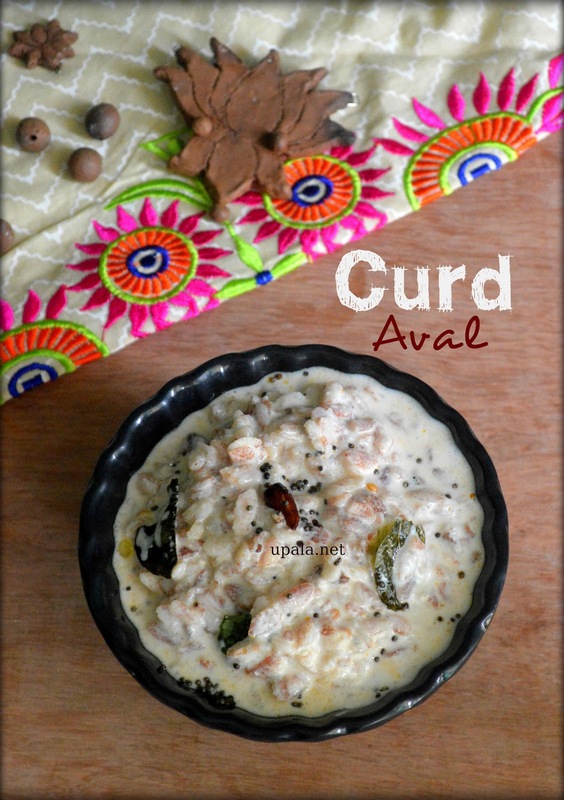 If you feel it is not gonna work out, no issues, this recipe is already healthy as we are using less oil and good bacteria rich Curd. 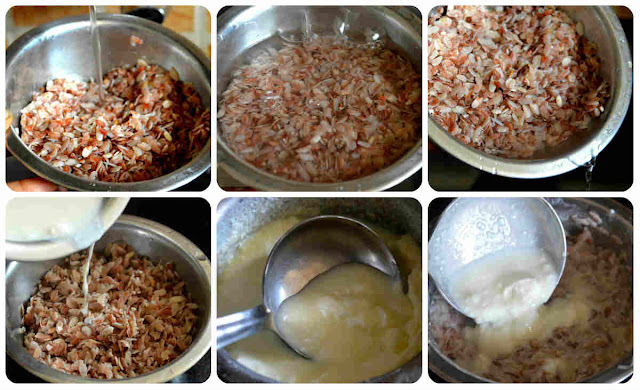 1) Wash the Red poha for 2-3 times and soak it in warm milk for 10 mins. 2) Add curd, salt to soaked poha and mix well. 3) Heat oil in a kadai and add mustard seeds to crackle. Next add urad dal and fry till light brown. 4) Add red chillies, hing, curry leaves and fry once. Switch off the flame and pour this seasoning mixture to Red poha and mix well. Yummy and healthy Curd poha is ready. 1) You can add few finely chopped fresh coriander leaves for an enhanced flavour. 2) You can even add green grapes or raisins or pomegranate for richness. 3) For enhanced spiciness, add few finely chopped green chillies while seasoning. 4) The other veggies that you can add as per availability are, few finely chopped ginger, gated carrot, finely chopped cucumber, finely chopped raw mango.